I try to post as much as possible on here, but sometimes I slack off a bit when I’m really busy. Case in point. So while trying to catch up on recent news, I realized that I didn’t even post the last two paintings I sold. Sales are always good news, so that’s worth sharing. I sold two portraits that I had done awhile back. They were some of the first paintings I had done when I decided to paint professionally and make a career out of my art. I was especially glad since that series has dwindled down to not quite enough to have for a whole show, yet too many to have sitting in storage. And they didn’t exactly fit with my recent series, either. So now they have new homes, and I am very happy about that. And they are both framed, so that actually adds an 1 1/2″ in each direction. 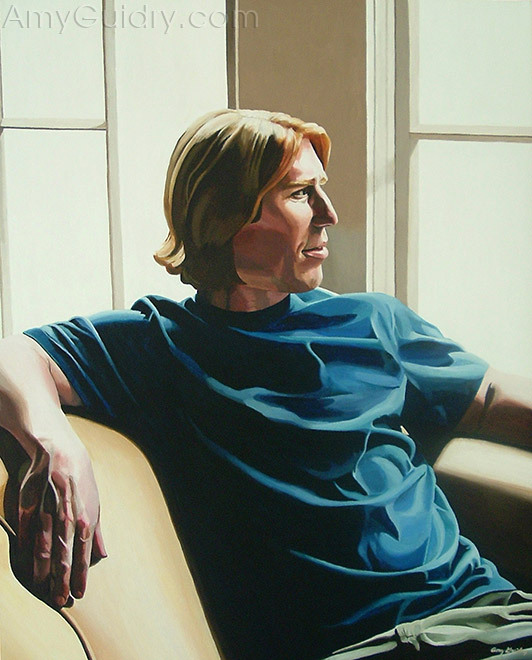 The painting, “Mike,” is of a friend I met through my husband. The painting, “Craig,” is of my brother (you may recall seeing his picture in previous posts). 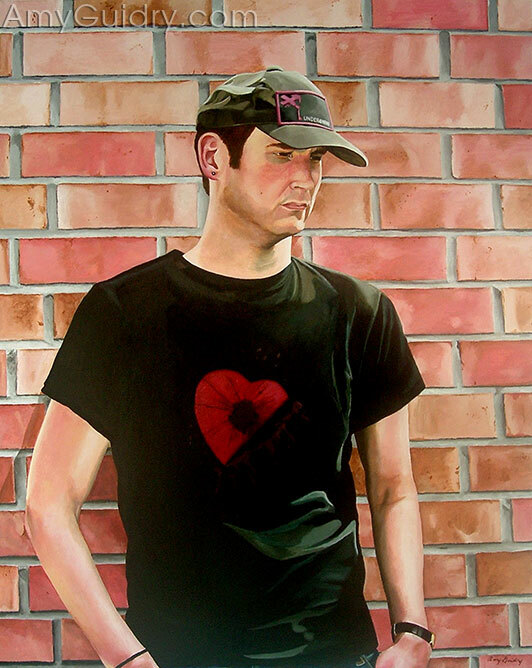 The “Craig” painting is actually the first portrait I did for this series. You can view more from my portrait series, in addition to my new work at www.AmyGuidry.com. And if you haven’t seen it already, you can view my painting video on YouTube at http://www.http://www.youtube.com/watch?v=7uL3H_rKW1k.